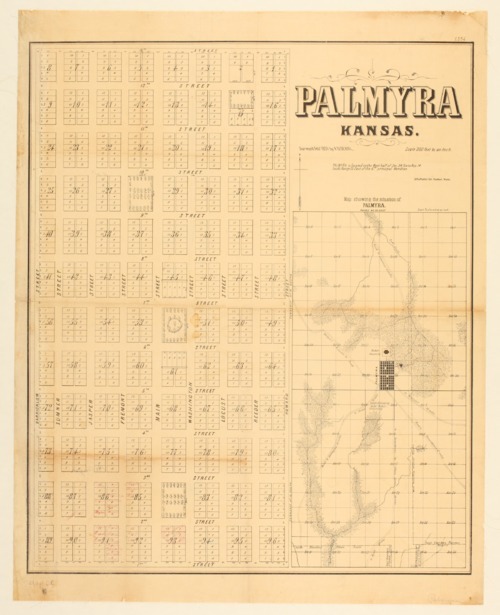 A map of Palmyra, Kansas Territory, showing streets, lots, and parks. Also featured is a small map of Palmyra's location in the county, with Baker University shown north of the town. Tribal land boundaries are also noted.